Making a game can be an intensive process, and if not planned accurately can easily run over budget. The use of procedural generation in game design can help with the intricate and multifarious aspects of game development; thus facilitating cost reduction. 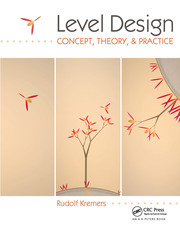 This form of development enables games to create their play areas, objects and stories based on a set of rules, rather than relying on the developer to handcraft each element individually. Readers will learn to create randomized maps, weave accidental plotlines, and manage complex systems that are prone to unpredictable behavior. 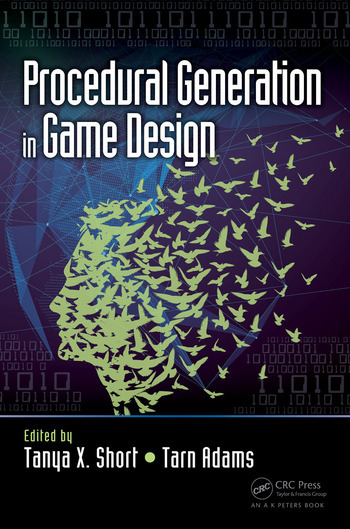 Tanya Short’s and Tarn Adams’ Procedural Generation in Game Design offers a wide collection of chapters from various experts that cover the implementation and enactment of procedural generation in games. Designers from a variety of studios provide concrete examples from their games to illustrate the many facets of this emerging sub-discipline. Tanya X. Short is the director of Kitfox Games, the indie game studio behind Moon Hunters and Shattered Planet. Previously, she worked as a designer at Funcom Games on The Secret World and Age of Conan: Hyborian Adventures. In her spare time, she acts as the co-director of Pixelles, a non-profit helping more women make games. Tarn Adams is best known as the developer of Dwarf Fortress since 2002 with his older brother Zach. He learned programming in his childhood, and designed computer games as a hobby until he quit his first year of a mathematics post doctorate at Texas A&M to focus on game development in 2006. Short, director of KitFox Games, and Adams, the independent co-creator of the popular game Dwarf Fortress, have edited a substantial collection of essays providing concepts and practical application of procedurally generated content and algorithms for game design purposes. Procedural generational the method of creating data via algorithm rather than by handâ€”is a principle developers can harness to allow the game to generate its own content (settings, objects, and stories) using a series of rules. This method can result in considerable savings over the more traditional game design. Unlike Procedural Content Generation in Games (Shaker, Togelius, Nelson, 2016), the material here is authored by independent developers (with one exception from Blizzard Entertainment), so the information is more accessible and actionable. 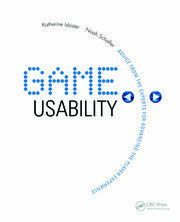 The book should enable game developers evaluating procedural generation for their games to make an informed decision whether or not to use it. Those with a background in computer science or who are already using procedural generation may learn something new from the contributorsâ€™ experiences and methodologies. Summing Up: Recommended. Upper-division undergraduates through faculty and professionals.